It is nice to be relatively close to the craft beer paradise that is Tokyo, but I am always on the lookout for something that doesn’t cost 4,000 yen just to get to. Luckily for me Takasaki, the next town over and the largest city in Gunma Prefecture, is now home to a craft beer bar. 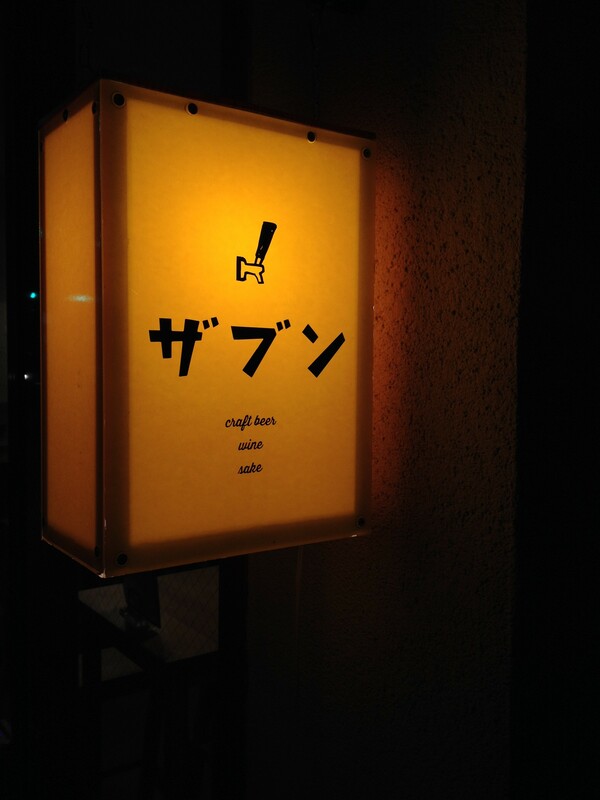 Zabun (ザブン) is right in downtown Takasaki, a few blocks north of the local British pub, The Red Lion. It is a pretty small place, with a bar, a few tables and a clean and simple decor. The one room is all white walls and light colored wood with bright lighting. It sometimes seems more like a trendy sushi place than a craft beer bar. They have five taps that rotate quite frequently. 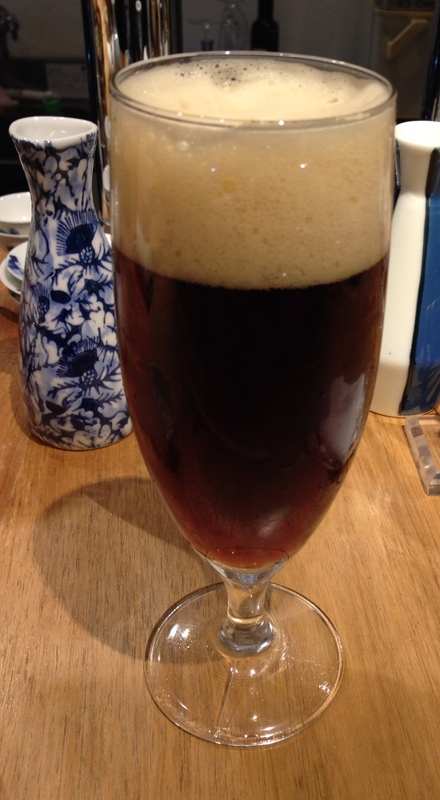 I have seen beers from Hitachino Nest, Shiga Kogen, Baird, Preston Ale, and Minoh. They usually have a pretty good variety available, something light, something dark, something sweet, something hoppy. Though sometimes the small kegs that they use run out quickly. I’ve been there with all five taps operating fine but I have also seen them down to three available beers. They don’t seem to stock imports, but I actually appreciate that. It is good to give the spotlight to Japanese brewers, and it keeps the bar feeling very focused. There is a 500 yen seating charge, and a glass of beer will run you about 700 yen. While the glasses aren’t full pints, I calculated that the going rate is the same as a pint costing 1,000 yen. This is similar or even slightly cheaper than you often see in Tokyo, so I can’t complain too much. It does make me wish that beer prices in general were lower, but that is an issue for the Japanese Diet. Zabun has a food menu as well, though I have yet to order anything off of it. They also have a wine list and a well stocked selection of nihonshu for those who don’t feel like a beer. I have made the trip to Zabun three times now. I am really happy to have a source of good craft beer less than an hour or two from my house. I will admit that Zabun is not perfect, but it represents a good start. Each time I have visited they have been busy, so I think there is a decent level of demand for quality beer, even out this far from the bigger urban areas. My hope is to see more such places open up, with a homier atmosphere and a more stable line up. Five taps that are always five taps is a lot more appealing than five taps that are sometimes three taps. Despite that, I imagine I will keep patronizing Zabun, as for the moment it is literally the only game in town. What’s your favorite local craft beer joint? 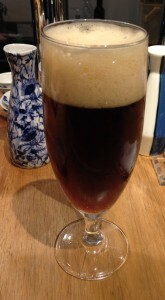 This entry was posted in Bar Guide and tagged Craft Beer Bar, Takasaki. Bookmark the permalink.